The Cyprus Securities and Exchange Commission, known as CySEC (www.cysec.gov.cy), is the financial regulatory agency of Cyprus. As an EU member state, CySEC’s financial regulations and operations comply with the European MiFID financial harmonization law. A significant number of overseas retail forex brokers have obtained registration from CySEC. 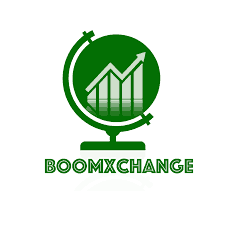 The broker Boom Xchange offers the wide range of trading assets including forex, cryptocurrencies, stocks, commodities and many other. The firm claims to be owned and operated by Leadcapital Markets Ltd., the company regulated by CySEC, providing the license number and the address/contact phone number of the owner-company. It turned out that Boom Xchange has used the name and regulation details of the properly regulated investment company when the broker itself is not authorized by CySEC or any other regulatory institutions. Clone firms use some or all of the details of a genuine entity, aiming to convince investors they are indeed the authorized company or that they work with them. CySEC warns about the suspicious brokers and urges investors to consult its website prior to investing with any forex broker that claims to be regulated in Cyprus. We also highly recommend to only deal with regulated forex brokers, authorized by reputable regulatory institutions like CySEC, FCA, or ASIC.